When Christmas approaches the thing that stresses me out the most when Christmas shopping is neighbor gifts. I want to give my neighbors something nice but not spend a ton of money. I usually plan on getting 15-20 neighbor gifts. This year I wanted to keep it simple, get it done early, and I wanted to share a few ideas with you. When I was done shopping I realized that almost all of the gifts I purchased fell into a 'cleaning' theme. 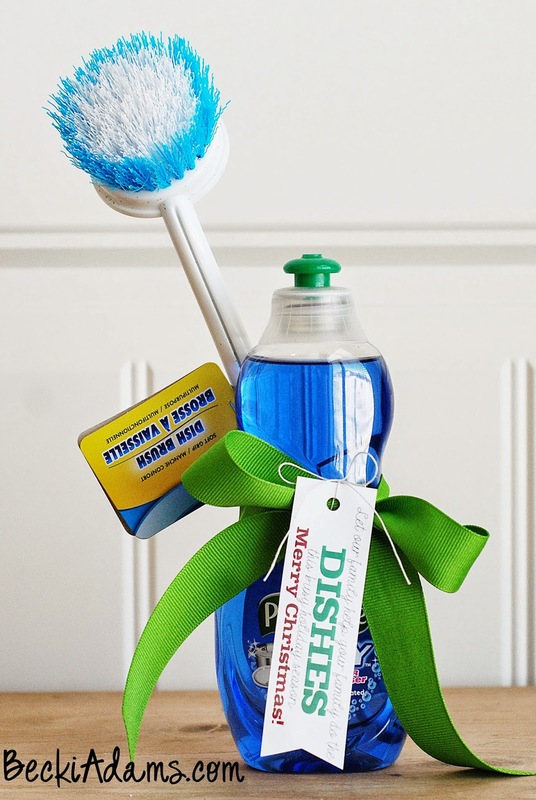 Gift #1: Dish soap and a scrub brush (cost $2) The tag says: Let our family help your family do the dishes this busy holiday season. Merry Christmas. 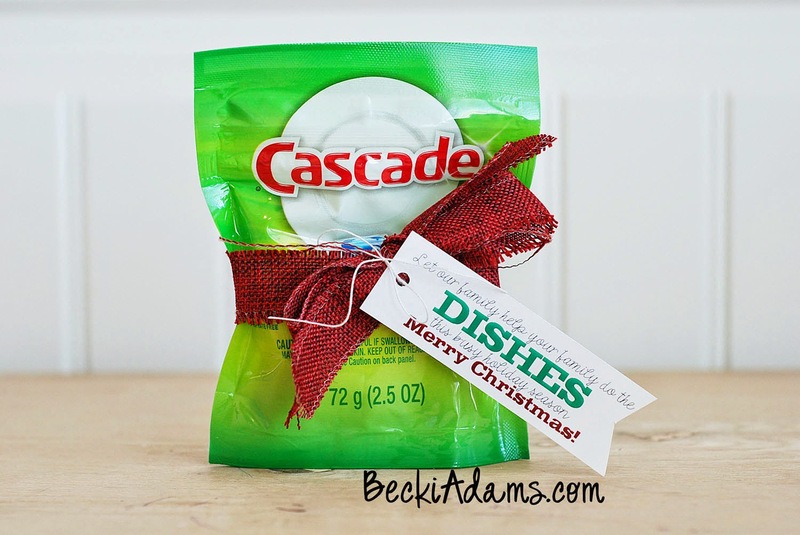 Gift #2: Dishwasher tabs (cost $1) The tag says: Let our family help your family do the dishes this busy holiday season. Merry Christmas. 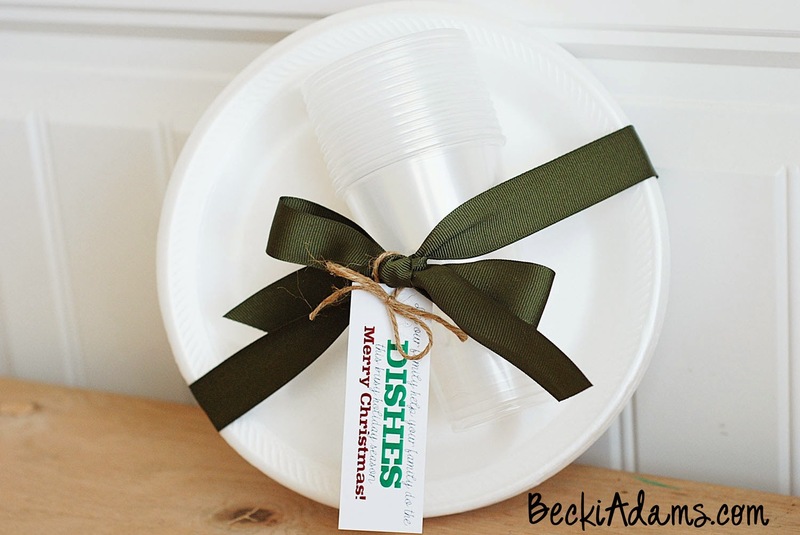 Gift #3: Paper plates and cups (cost: close to $1) The tag says: Let our family help your family do the dishes this busy holiday season. Merry Christmas. 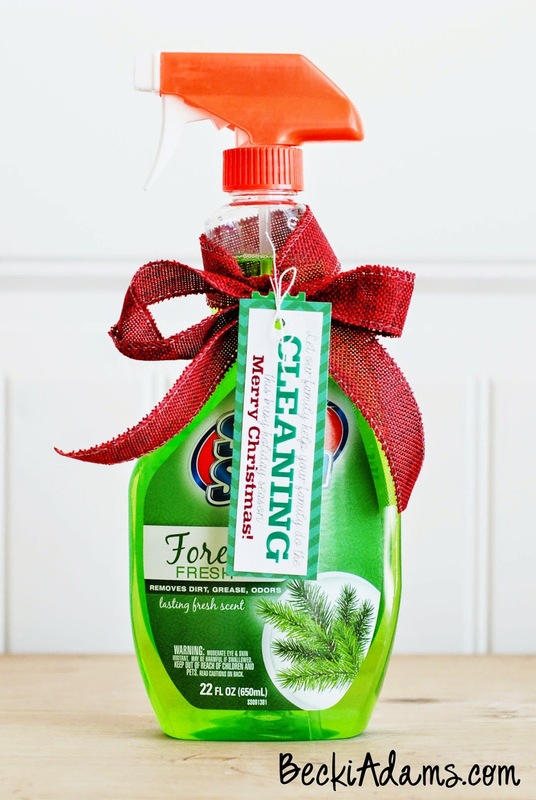 Gift #4:All purpose cleaner (cost $1) The tag says: Let our family help your family do the cleaning this busy holiday season. Merry Christmas. Gift #5: This gift is a little more expensive than the others. I paid about $6 for this entire gift. I created a gift basket for a snow day. 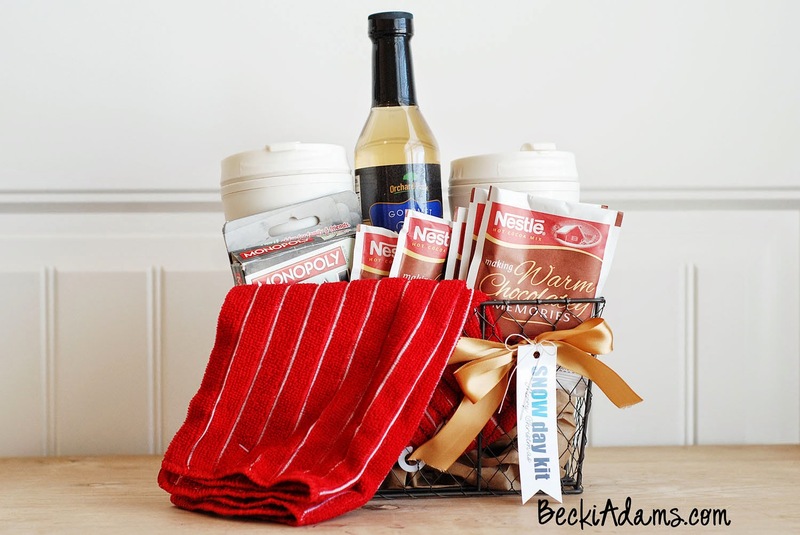 The basket includes: two mugs, a bottle of flavored syrup, a card game, a few packages of hot chocolate, and a soft dish towel. The tag reads: Snow Day Kit. Merry Christmas. Do you worry about what to give your friends and neighbors? I'd love to hear about your favorite gift ideas!